Our sofa is centered on the fireplace in the living room, and we spend a lot of time on that sofa. 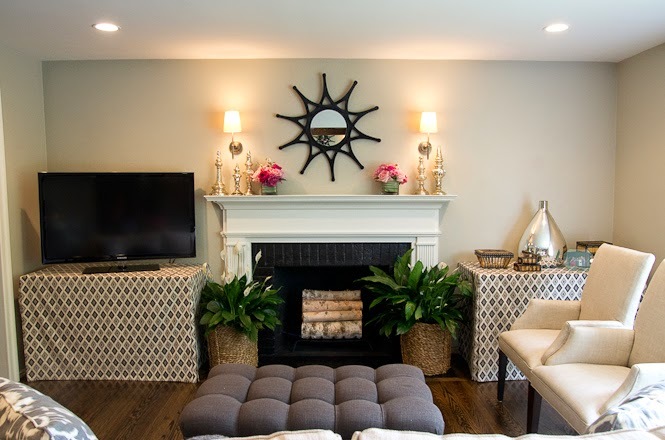 Eventually we want to do built-in bookcases but that's a ways away, so we needed something in the interim because looking at what came with the house just wasn't going to do. 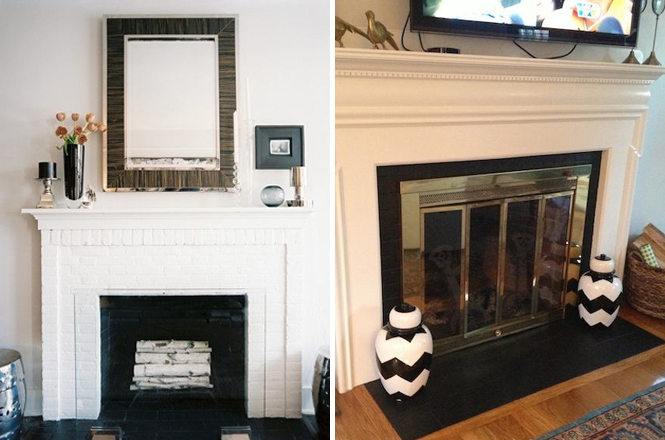 I already had some ideas but when I saw these two images, I knew we could give our little fireplace a nice and inexpensive facelift! The update was a bit of an evolution. First, Dad ripped up the white wood trim around the hearth. Then when the floors were stained and refinished, those guys patched the area to match. Also, Dad quickly popped off the decorative moulding that adorned the mantle. That's how the fireplace sat for a while. Then Andy took over and finished the job. He painted the mantle Benjamin Moore White Dove, the same color as the trim in our house. 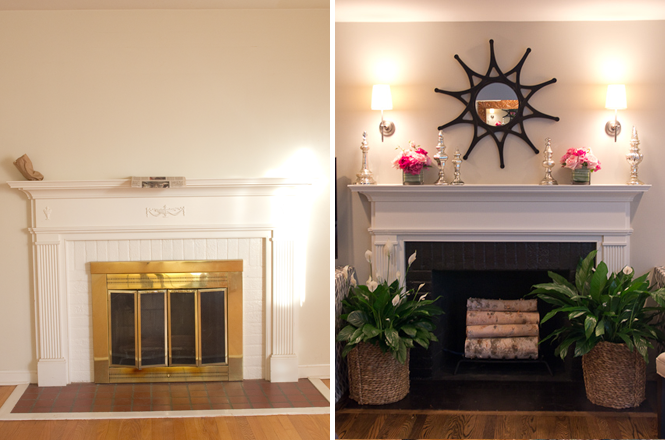 Then he painted the brick surround and hearth a glossy black and the firebox a matte black. The different blacks was kind of a happy accident. 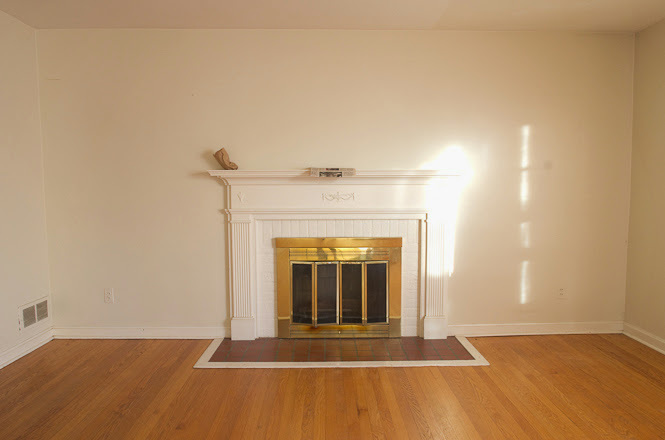 The interior paint is a super heat resistant paint since we plan to use the fireplace come winter and the glossy paint is also heat resistant but not to the same degree. The happy accident is that it looks great-- the glossy bricks pop while the matte interior just fades away. To finish it off, Mom found some birch logs online (straight from Michigan) and to the eye rolling of Dad & Andy, we ordered those and they look perfect! Now that's something I can look at every night. 1 comment on "A Fireplace Update"